Although photography was invented in 1839, the art world at that time was still very much in the grips of Neoclassicism. To the Neoclassical sculptor or die engraver, modern clothing fashions changed too often, and to portray historically important figures in contemporary clothes could open up such art works to criticism. In the United States, Mint engraver Christian Gobrecht was strongly influenced by Neoclassicism, which was especially apparent in his use of the classically stylized head of Liberty on the Coronet half eagle, which replaced the Classic Head design in 1839. The obverse design of the new coin featured Liberty’s hair tied in a bun and secured by a string of beads. She also wore a coronet in her hair inscribed with the word LIBERTY. The simplicity of the design was largely unaffected by the addition of the date below the bust and thirteen stars around the perimeter. Such a Greco-Roman profile as seen on the Coronet half eagle could be found in any major museum in Europe, and this classically elegant and yet simple design remained on the obverse of the half eagle until 1908, when the design was replaced by Bela Lyon Pratt’s Indian Head. 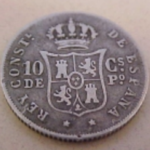 The reverse differed little from the spread eagle motif that had been in use since 1807, except that on the Gobrecht reverse the eagle’s wingspan was widened to cover the new coin from rim to rim. Gobrecht’s Liberty Head half eagles continued the Mint’s preoccupation with stereotyping the designs on all U.S. coins. This drive for uniformity existed from the Mint’s early days, and did not entirely vanish until new, non-mint designs were implemented early in the twentieth century. 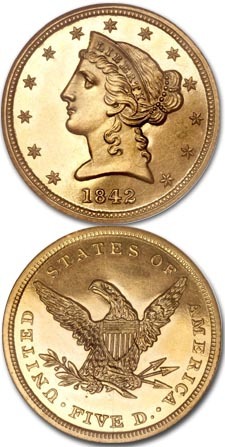 The Coronet half eagle shared its design with the eagle released in 1838 and the quarter eagle of 1840. Referred to by modern collectors as No Motto half eagles, they were struck in five mints: Philadelphia (no mintmark), Charlotte (C), Dahlonega (D), New Orleans (O), and San Francisco (S). Mintmarks were placed on the reverse below the eagle and above the word FIVE in all but the initial year of issue. In 1839 the C and D mintmarks were placed above the date on the obverse, making these otherwise relatively common coins a very popular and eagerly sought after year for collectors. All together, for the 28 years these coins were struck, a total of 9,114,049 pieces were produced from all five mints. In the first several years of production minor design changes were made—the head of Liberty was modified slightly after 1839, the diameter was decreased in 1840, and lettering and dates were enlarged in 1842 and ’43. 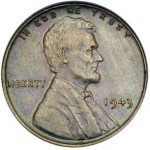 For the date and mintmark collector these minor design alterations provide variety; although—primarily due to engraver James Longacre’s ineptitude as a die sinker—there are a considerable number of mis-punched dates and overdates within the series that also provide numismatic interest. But the true rarities in this series are the low mintage, low availability issues, especially the branch mint issues from Dahlonega and Charlotte, such as the 1842-D Large Date, the 1842-C Small Date, and the 1861-C. There are no standout rarities among the New Orleans issues except, of course, for the legendary 1841-O, a coin that is unknown in any collection even though mint records indicate 50 pieces were struck—presumably all were melted after coining. The rarest regular production No Motto half eagle comes from the San Francisco mint—the 1854-S. Only 268 half eagles were struck in this first year the San Francisco mint was in operation, and today only three pieces are known. The most commonly encountered half eagles from this period are the ones struck in Philadelphia, with AU and mint state coins often available. The scarcest Philadelphia mint half eagles are those struck during the Civil War, when mintages were low and hoarding widespread. Unlike many other nineteenth century series, No Motto half eagles are still collected today by date and mintmark. However, most collections contain only EF and AU coins at best—in many cases higher grade examples are either not available or are extremely expensive. Another popular method of collecting this series is to specialize in a particular mint. Several complete collections of Charlotte and Dahlonega half eagles have been formed over the years, this being especially popular with collectors living in the South. However, far fewer Southern gold collectors have attempted to complete a set of coins from New Orleans, even though EF and AU pieces are more often available from this mint than from Charlotte or Dahlonega. Type collectors can approach the No Motto series by either attempting to acquire one coin from each of the five mints that issued them, or by obtaining one example (usually from Philadelphia) to represent the entire 28 year type. Proofs were struck only in the Philadelphia mint, and all are very rare with yearly mintages after 1858 ranging from 25 to 80 pieces. 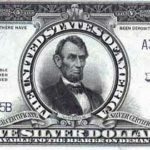 Grading well struck examples of No Motto fives is a rather straightforward process: look for rubbed spots on the highest portions of the design elements—the hair curls and above the eye of Liberty on the obverse and on the eagle’s wings on the reverse. However, incompletely struck coins from this period are the rule, not the exception, and one should expect softness of strike on the hair curls of Liberty as well as the eagle’s left (facing) leg on all branch mint coins and some of the Philadelphia issues. 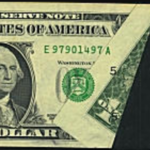 Counterfeits are occasionally seen in the series but are generally not a problem. Certain branch mint issues, especially those from the mid-1850s, may show full mint sharpness but dull surfaces. These “seawater Uncs.” were allegedly salvaged off a sunken Confederate transport ship in the early 1970s. No Motto half eagles were minted until 1866, when they were replaced by coins with the newly mandated motto IN GOD WE TRUST on the reverse. The date 1866 provides a useful dividing line for the half eagle denomination. 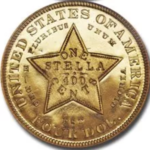 In general, coins struck after 1866 are easier to locate in AU and Uncirculated condition than their No Motto counterparts, and the Southern gold rarities from Charlotte and Dahlonega are limited to the No Motto series. No Motto half eagles remained in the channels of commerce for generations and it was not until the turn of the century and the advent of mintmark collecting that they began to be appreciated as a series with many valuable rarities and few survivors in high grade.